Drumming has been added to the music tuition available at our school. 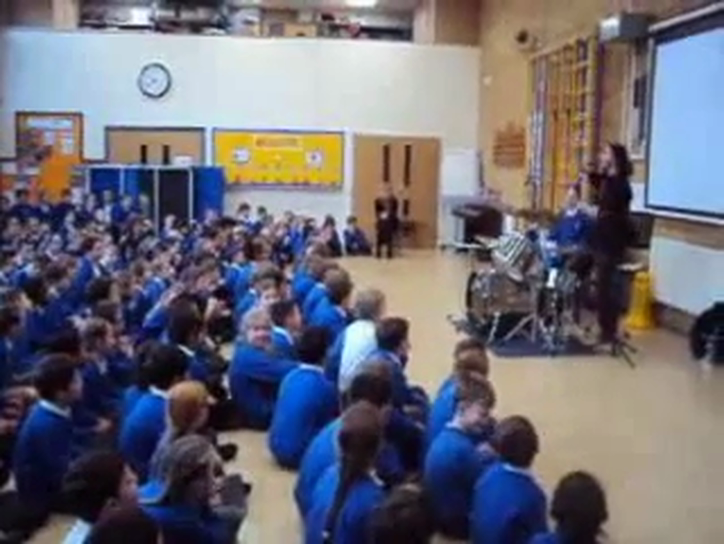 Aron McGhee, a professional drummer, has a selection of children every Monday afternoon from year 5 and 4. Spaces were very limited and children were randomly selected. The Juniors were very lucky as Aron held an assembly to start off the New Year and to also demonstrate what the children can aspire to. Will St Michael in the Hamlet produce the next Dave Grohl? Check out the photos and video- be warned it’s LOUD!